How Wedding Photo Types and Styles Affect Cost? Have you ever wondered what makes professional wedding photography packages cost more than others? What factors affect the prices of your professional wedding photos? The simplest answer is a difference in the type of images you want. Now, that answer obviously leaves a lot to be explained and that’s what we’re going to do in this article. Before we start, it’s important to understand that we’re eliminating some of the cost variables involved to level the playing field, so to speak. 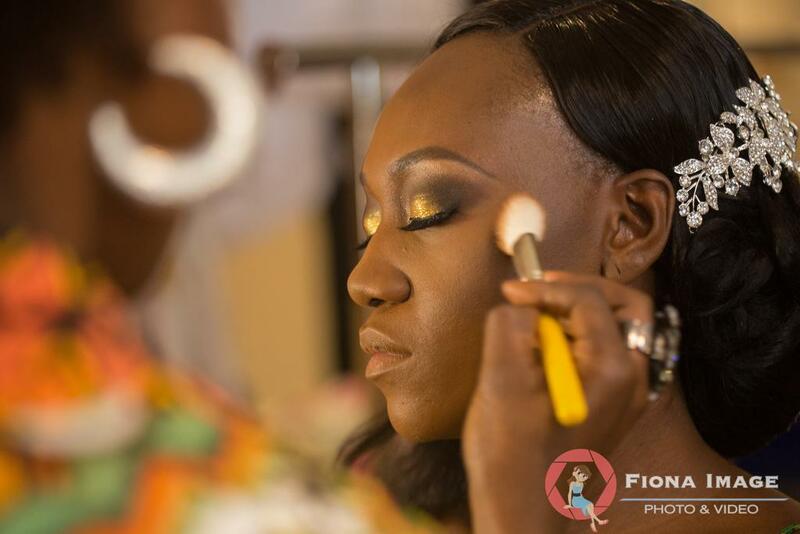 For instance, when you hire a wedding photographer, experience and skills, the equipment he or she has invested in and a few other obvious differences will affect the price. For the purposes of fair comparison, we’re going to put all those factors aside and analyze only the styles and types of images you might want to include in your wedding package. Because “style” and “type” can be categorized in many ways, such as journalistic, classic, candid vs posed and so on, we’re also going narrow that down. Because the amount of supplemental lighting a wedding photographer needs to use will have a great impact on the price he or she needs to charge for a photograph. I should probably start by explaining that “supplemental lighting” means the equipment a photographer needs to use to balance the exposure in a photo. It may refer to strobes, reflectors or continuous light sources, as well as modifiers like umbrellas, soft boxes, snoots and other devices. 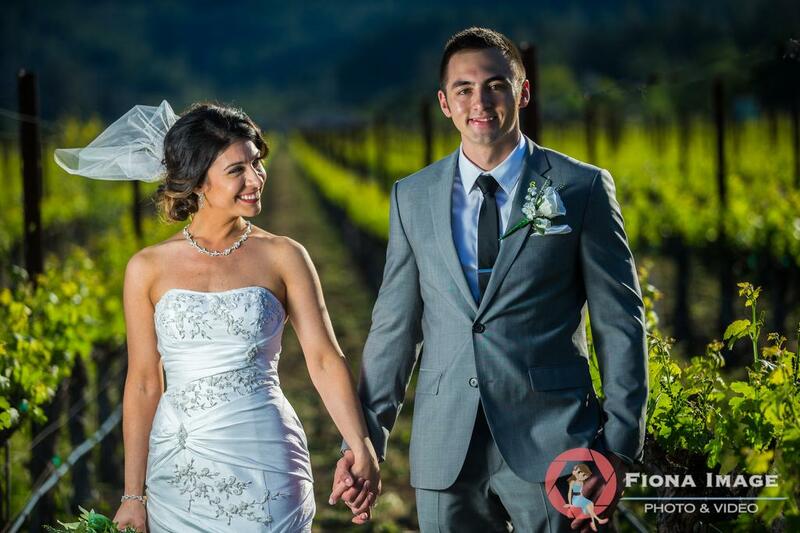 Because wedding photography is often spontaneous, flashes (strobes) are the most commonly used source. Let’s consider the photo above. To the casual observer or client, this image probably looks like any other beautiful wedding photo. To the photographer, this scene presented several challenges. First, the photographer had to compose the shot. The notes above on those elements speak for themselves. Because the composition involved a very busy background, it was blurred with shallow depth of field. The challenge was: to achieve a shallow depth of field, a large aperture has to be used. Using a large aperture during daytime would result in an over-exposure for the image, which must be compensated with a fast shutter speed i.e. 1/4000 of a second. High-speed sync with the external strobe must be used in order to work with such high shutter speed. The natural light from the upper right side of the scene provided the hair lights and outlined the right side of the subjects. To balance the exposure and better isolate the subjects from the background, a strobe with a softbox was angled toward the couple from the left front. Skillful direction of the light from this source beautifully highlighted the bride and brought out the groom’s features while leaving enough shadow on his left side to create dramatic impact. As you can see, there’s a lot more going on in the creation of an image like this than meets the untrained eye. It takes both more time and more equipment. Lets look at a couple more photos involving extensive use of flash lighting. In the image above and the one below, the couples are lit from behind with a strong external flash that provides that spectacular rim light. A second, on-camera flash fills the front side of the couple. Without the fill flash, the images would simply be silhouettes. These two flashes must be synced with each other and the camera, so that everything fires at just the right moment. That requires a remote flash trigger and the time to set it up. Again, photos of this style require more equipment and time than your average snapshot. Next, let’s take a look at a few shots that don’t need quite as much extra light. This may apply to many situations in a typical wedding shoot. In the two bride photos above, the ambient lighting is strong enough to light the subjects. 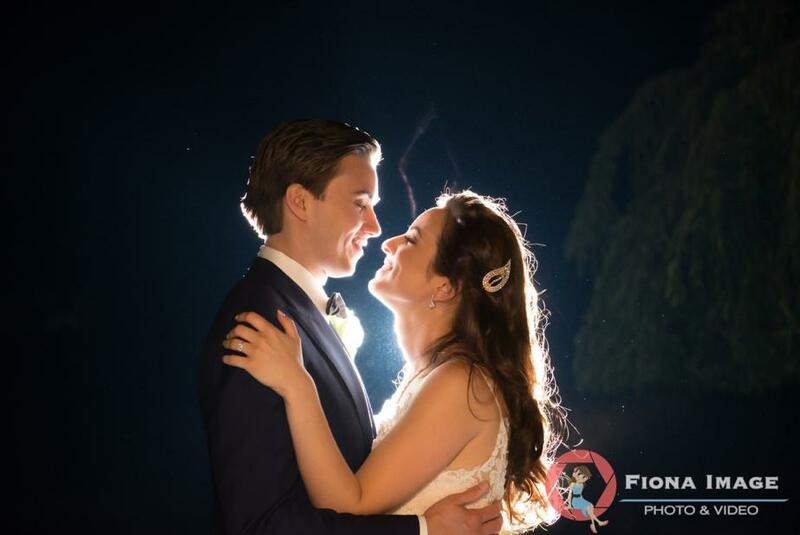 To avoid unwanted shadows and bring out the features of the lovely brides, however, a secondary light source was necessary. The photographer used a fill flash in both of these images to accomplish that. 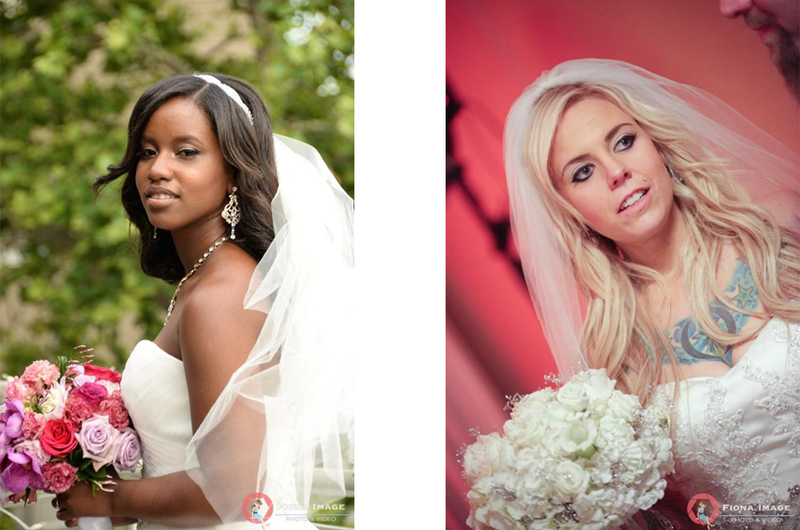 In the left photo, an external flash to the photographer’s right modeled the bride’s features. 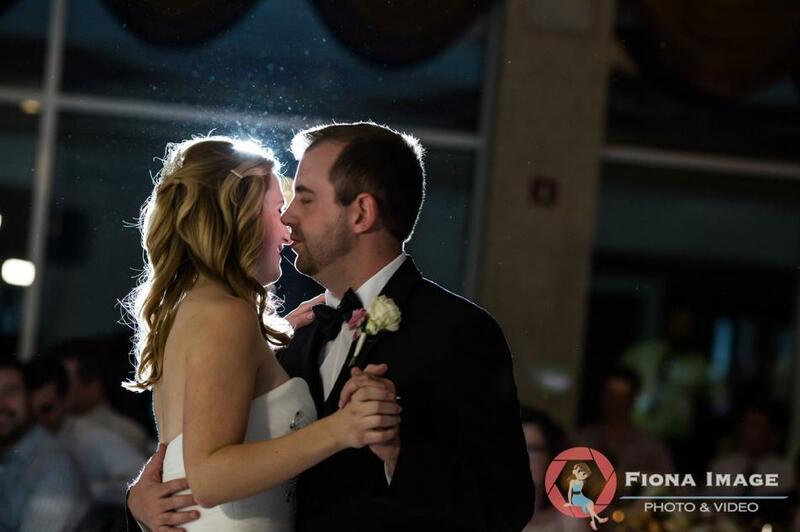 In the other, an on-camera flash at a low angle illuminated the bride without causing red-eye. In the image above, the photographer makes very clever use of a single flash. 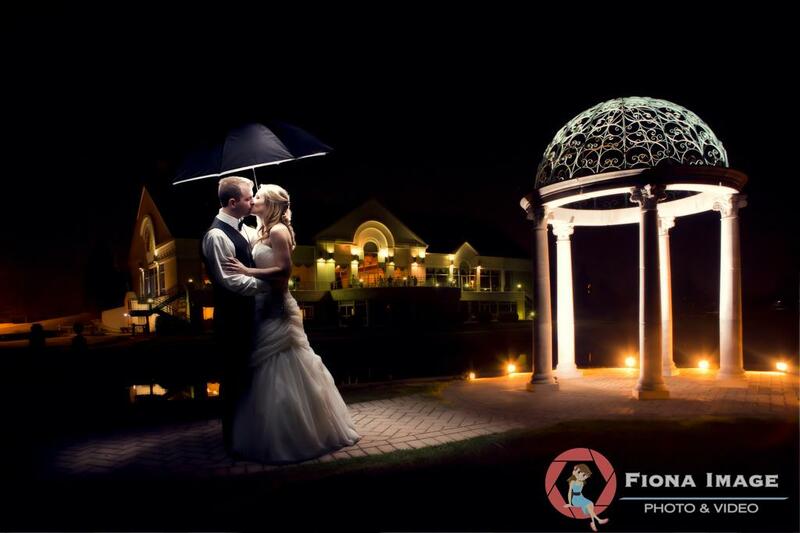 By bouncing the light from a strobe off of the umbrella above the couple, their kiss is dramatically lit with cool, white light. At the same time, the warm light from the lights around the grounds models the structures. These three examples should give you an idea of the time and equipment required for photos of this type. Still other situations in wedding photography call for using only the light falling on the scene. While these photos may have just as much impact as others, they simply don’t require any additional lighting equipment. The room light and strong, but diffused sunlight from the window was all that was needed for this shot. The image below also made use of window light alone, but was exposed for a less high-key effect. 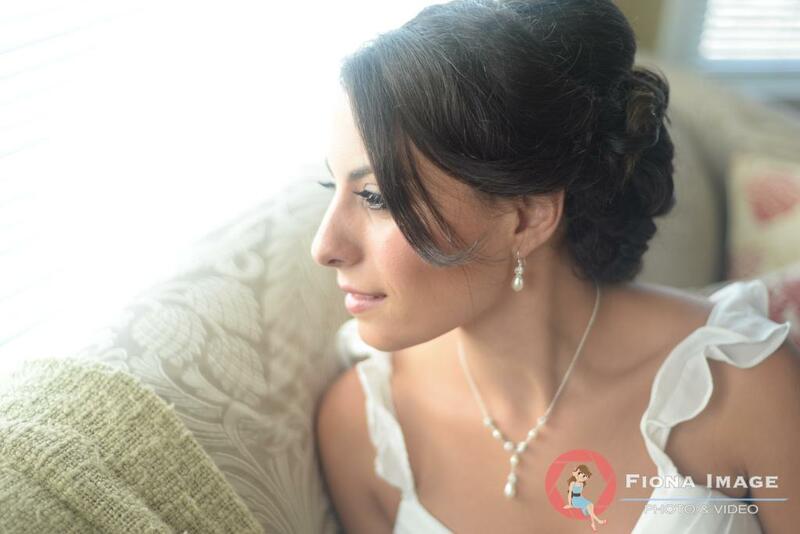 Window light such as this can provide a smooth, natural look that works well for the typical “getting ready” photos in a wedding album. The photo below takes advantage of the soft, warm light of the setting sun as its only source. 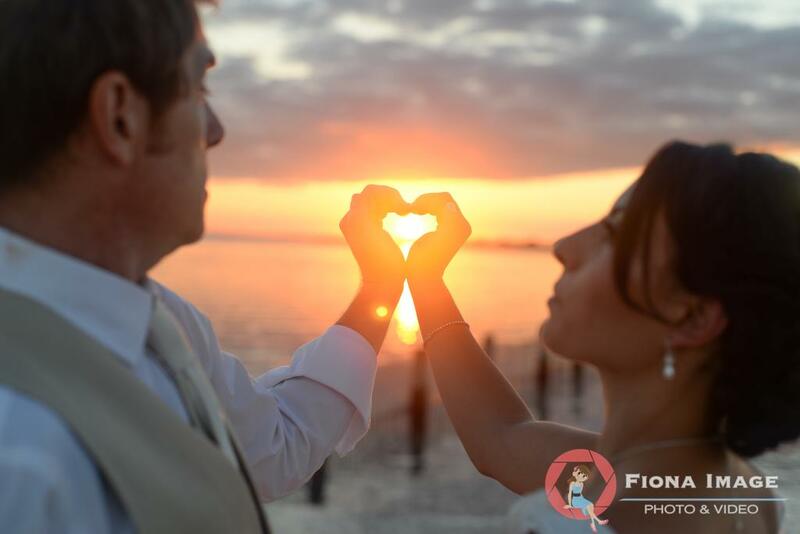 This “Golden Hour” lighting is a great choice for this type of outdoor wedding portrait. The Fiona Image photographer captured this unusual image using a telephoto lens at some distance from the window. 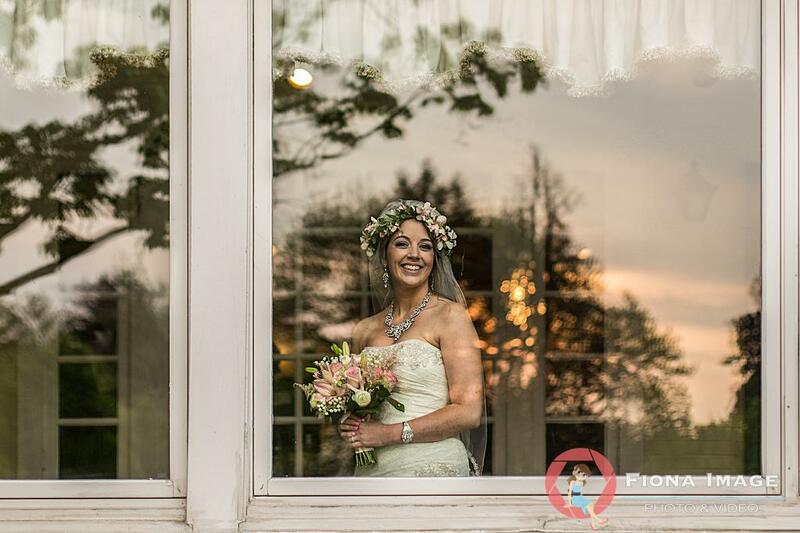 Note how the bride is clearly seen, even though there’s a reflection in the window. Using a flash for this image would have created glare on the window, thus ruining a perfect shot. As you can see from these examples, not all wedding photography styles are equal. Some shots require a substantial amount of extra lighting. That not only calls for more equipment, but often increases the amount of time involved in setting up the shot. Often, an assistant is required to help the lead photographer carrying/setting up the equipment. These differences are among the main factors that affect the price of your professional wedding package. Does this mean that you should limit the type of photos to save money on your special day? While that’s one possibility, it certainly isn’t what I’d recommend. In fact, it isn’t the point of this article at all. I’ve simply illustrated one of the chief factors in the cost of professional wedding photography. So, should you expect to pay “an arm and a leg” for your photo package? Absolutely not! When you hire seasoned professionals, the pricing should reflect the expertise of the photographer in preparing for and creating images in all of the styles we’ve explored. 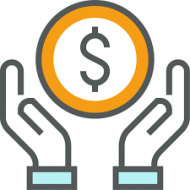 Where should that pricing fall? Visit Fiona Image to find out. 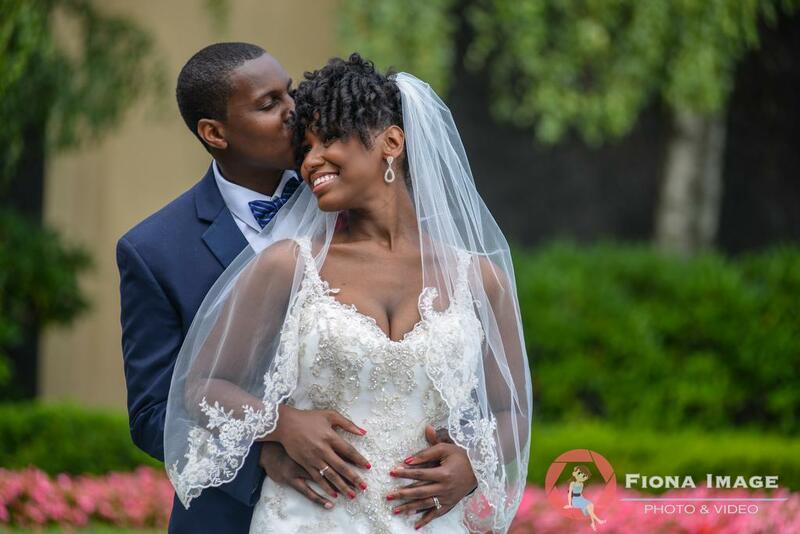 Our innovative approach brings you the best of both worlds: beautifully executed, professional photo packages at prices that won’t cut the honeymoon short. Drop by our website today! 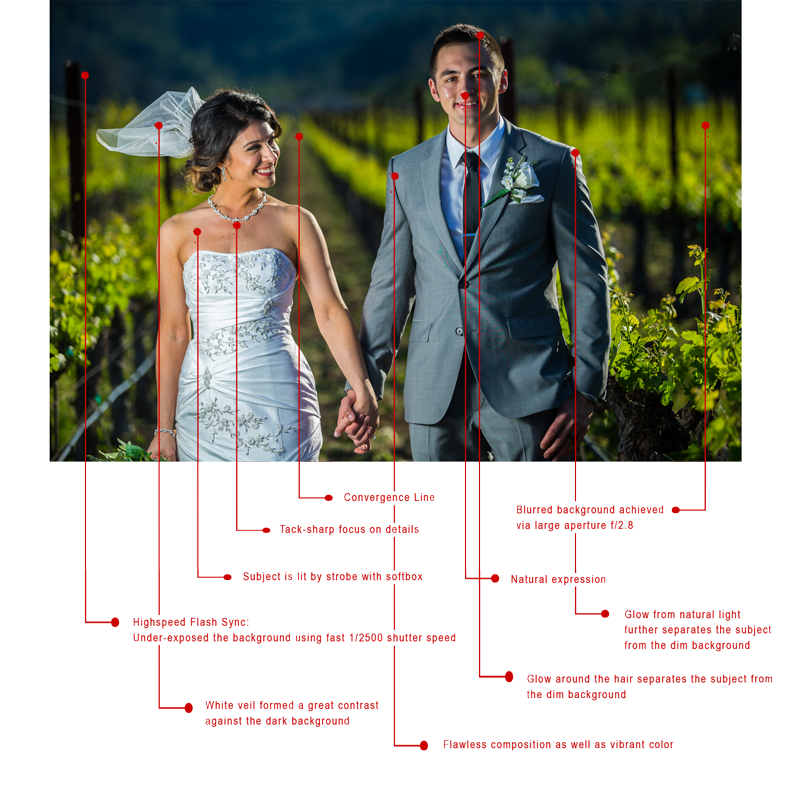 Should You Adjust Your Wedding Photos Based On The Technically ‘correct’ Color? © 2019 Fiona Image. All Right Reserved.